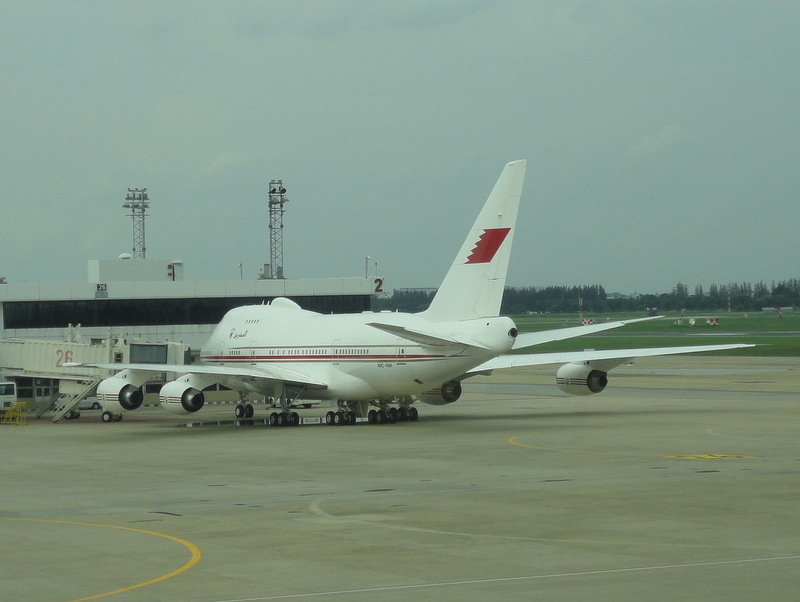 Seen at Don Mueang Airport, Bangkok (June 4th, 2012): The 747 belongs to the king of Bahrain. I checked the news, but there is no mention of his visit to Asia. Currently the king seems to be left to his own devices.